A couple of reports caught my eye last week. One from CLG, The Cost of Troubled Families shows the high cost to public services of those who need repeated interventions from social services, education, NHS, police and other agencies. The report is more about costing methods than solutions, but the inference is clear: joined-up thinking and early intervention is far better than many agencies tackling problems later. In simple terms, prevention is better than cure. The second was sombre data from the Office for National Statistics (ONS): their bulletin Suicides in the United Kingdom, 2011 reports a significant increase. We're only now getting 2011 figures because of the need to wait for coroners’ decisions. But if this trend is shown to continue in 2012 and beyond, it’s a very worrying one. ONS don’t speculate on the reasons for this increase, but many others have. Organisations working in mental health report increased referrals from people in crisis, and identify unemployment and the economic downturn as amongst the contributory factors. 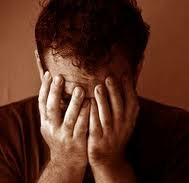 Certainly the group most at risk – men aged 30-44 – are those for whom losing their job, perhaps compounded by debt, isolation and other kinds of deprivation, might precipitate a crisis. And we know that a high proportion of suicides have no previous contact with mental health services, so the scenario is certainly plausible. Even if this cause-effect link is unproven, should we not be trying to understand it? The cost of “troubled family” is estimated between £45,000 and £100,000. Meanwhile the government’s own estimate of the cost of suicide (from No Health Without Mental Health, Dept of Health 2011) is £1.7m per instance. So let’s have some real joined up thinking please. Thinking that counts the costs and benefits of policies in social and economic terms, not just through the mantra of GDP. It might even lead to a society with fewer troubled families and fewer suicides in the first place. 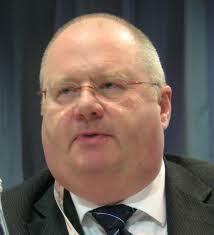 Eric Pickles' Christmas gift to local government was advice on how to save money. His department's 50 Ways to Save (CLG, December 2012) suggests how Councils can trim budgets in order to make the savings demanded of them. I had a feeling of dread before opening the document, which proved fully justified when I did so. Here we have a random collection of tired old ideas and trivial homilies. Can there really be any Councils in the country who haven't considered options such as improved procurement, electronic payments, tackling absenteeism and cutting meetings refreshments? I expected to see double-sided copying and reduced paperclip usage in there, but presumably they came in at numbers 51 and 52 on the list. More depressing than the "ideas" themselves is the lack of serious thinking behind them. Almost without exception, these ideas are one-offs. Once you've done them, that's it - you can't repeat savings such as cutting first class travel and scrapping the Council's newspaper. Is the implication that once Councils have implemented all 50 of these ideas, they will be exempt from future cuts? I suspect not, so where do they go next? What happened to lean, systems thinking, service redesign and other continuous improvement methods well established in both the private and public sectors? Where are the ideas that inspire people, change old-fashioned thinking and deliver real benefits? Not apparently in CLG, whose most recent Capability Review (Cabinet Office, 2006) rated it lower than the great majority of local authorities it oversees. Needless to say, the '50 ways' include reducing training and consultancy budgets. If this document proves anything, it proves that Eric Pickles and CLG are desperately in need of such training and consultancy advice themselves.